Who are the Libyan Freedom Fighters and Their Patrons? The Asia-Pacific Journal Vol 9, Issue 13 No 3, March 28, 2011. The world is facing a very unpredictable and potentially dangerous situation in North Africa and the Middle East. What began as a memorable, promising, relatively nonviolent achievement of New Politics - the Revolutions in Tunisia and Egypt - has morphed very swiftly into a recrudescence of old habits: America, already mired in two decade-long wars in Iraq and Afghanistan, and sporadic air attacks in Yemen and Somalia, now, bombing yet another Third World Country, in this case Libya. The initially stated aim of this bombing was to diminish Libyan civilian casualties. But many, senior figures in Washington, including President Obama, have indicated that the US is gearing up for a quite different war for regime change, one that may well be protracted and could also easily expand beyond Libya.1 If it does expand, the hope for a nonviolent transition to civilian government in Tunisia and Egypt and other Middle East nations experiencing political unrest, may be lost to a hard-edged militarization of government, especially in Egypt. All of us, not just Egyptians, have a major stake in seeing that that does not happen. The present article does not attempt to propose solutions or a course of action for the United States and its allies, or for the people of the Middle East. It attempts rather to examine the nature of the forces that have emerged in Libya over the last four decades that are presently being played out. I wish to begin with two ill-understood topics: I. Who Are the Libyan Opposition, and II. Where Are the Libyan Rebel Arms Coming From? "The LIFG was founded in 1995 by a group of mujahideen veterans who had fought against the Soviet occupation of Afghanistan. Upon their return to Libya they grew angry about what they viewed as the corruption and impiety of the Libyan regime and formed the LIFG to create a state that would show what they believed to be the true character of the Libyan people. The LIFG, established in Afghanistan in the 1990s, has assassinated dozens of Libyan soldiers and policemen. 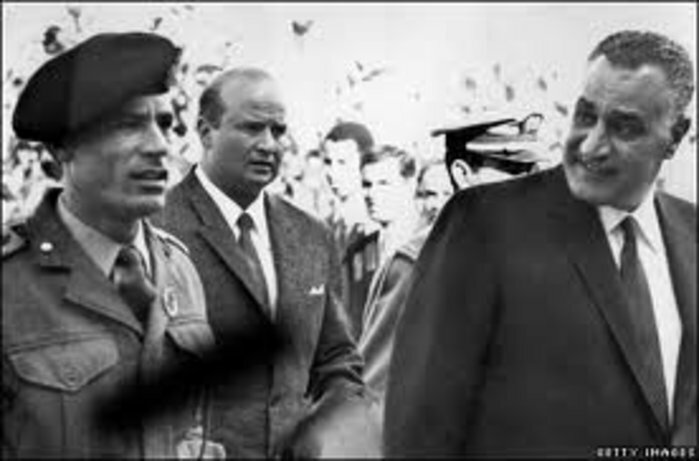 In 2009, to mark Gaddafi's 40 years in power, it apologised for trying to kill him and agreed to lay down its arms. MI6 [British Intelligence] has been accused in the past of supporting it. Six LIFG leaders, still in prison, disavowed their old ways and explained why fighting Gaddafi no longer constituted "legitimate" jihad. Abdul-Hakim al-Hasadi, another freed LIFG member, denied the official claims. 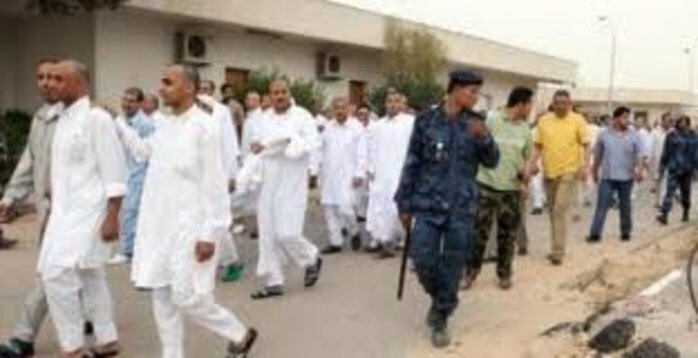 "Gaddafi is trying to divide the people," he told al-Jazeera. "He claims that there is an Islamist emirate in Derna and that I am its emir. He is taking advantage of the fact that I am a former political prisoner." Derna is famous as the home of a large number of suicide bombers in Iraq. It is also deeply hostile to Gaddafi. "Residents of eastern Libya in general, and Derna in particular, view the Gaddadfa (Gaddafi's tribe) as uneducated, uncouth interlopers from an inconsequential part of the country who have 'stolen' the right to rule in Libya," US diplomats were told in 2008, in a cable since released by WikiLeaks. “In an interview with the Italian newspaper Il Sole 24 Ore, Mr al-Hasidi admitted that he had recruited ‘around 25’ men from the Derna area in eastern Libya to fight against coalition troops in Iraq. Some of them, he said, are ‘today are on the front lines in Adjabiya. Mr al-Hasidi insisted his fighters ‘are patriots and good Muslims, not terrorists,’ but added that the ‘members of al-Qaeda are also good Muslims and are fighting against the invader’. His revelations came even as Idriss Deby Itno, Chad's president, said al-Qaeda had managed to pillage military arsenals in the Libyan rebel zone and acquired arms, ‘including surface-to-air missiles, which were then smuggled into their sanctuaries’. Mr al-Hasidi admitted he had earlier fought against ‘the foreign invasion’ in Afghanistan, before being ‘captured in 2002 in Peshwar, in Pakistan’. He was later handed over to the US, and then held in Libya before being released in 2008. "A RIVAL transitional government to the regime of Libyan leader Muammar Gaddafi looks set to win US and other international support as momentum builds to oust the longtime dictator. US Secretary of State Hillary Clinton confirmed yesterday that the Obama administration was reaching out to opponents of Colonel Gaddafi. She said the US was willing to offer ‘any kind of assistance' to remove him from power. Protest leaders who have taken control in Libya's eastern cities claim to have established a transitional "national council" that amounts to rival rule. They have called on the country's army to join them as they prepare for an attack on the capital, Tripoli, where the Libyan leader retains control. "Libyan rebels in Benghazi said they have created a new national oil company to replace the corporation controlled by leader Muammar Qaddafi whose assets were frozen by the United Nations Security Council. The Transitional National Council released a statement announcing the decision made at a March 19 meeting to establish the ‘Libyan Oil Company as supervisory authority on oil production and policies in the country, based temporarily in Benghazi, and the appointment of an interim director general" of the company. II. Where Are the Libyan Rebel Arms Coming From? "Desperate to avoid US military involvement in Libya in the event of a prolonged struggle between the Gaddafi regime and its opponents, the Americans have asked Saudi Arabia if it can supply weapons to the rebels in Benghazi. The Saudi Kingdom, already facing a "day of rage" from its 10 per cent Shia Muslim community on Friday, with a ban on all demonstrations, has so far failed to respond to Washington's highly classified request, although King Abdullah personally loathes the Libyan leader, who tried to assassinate him just over a year ago. But the Saudis remain the only US Arab ally strategically placed and capable of furnishing weapons to the guerrillas of Libya. Their assistance would allow Washington to disclaim any military involvement in the supply chain - even though the arms would be American and paid for by the Saudis. The Saudis have been told that opponents of Gaddafi need anti-tank rockets and mortars as a first priority to hold off attacks by Gaddafi's armour, and ground-to-air missiles to shoot down his fighter-bombers. Supplies could reach Benghazi within 48 hours but they would need to be delivered to air bases in Libya or to Benghazi airport. If the guerrillas can then go on to the offensive and assault Gaddafi's strongholds in western Libya, the political pressure on America and Nato - not least from Republican members of Congress - to establish a no-fly zone would be reduced. 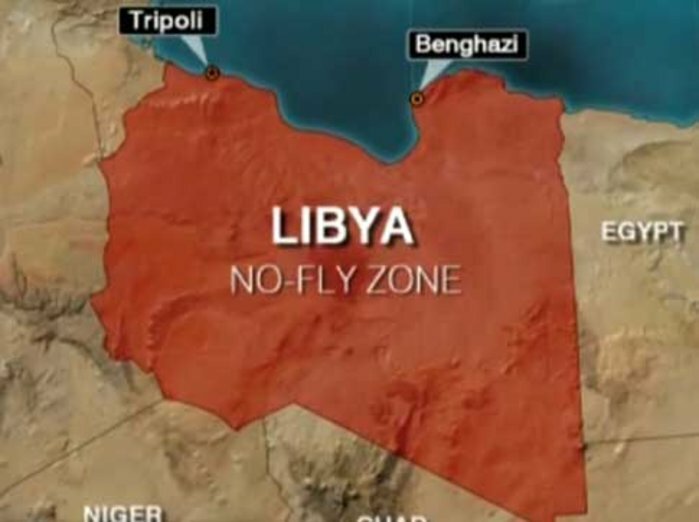 US military planners have already made it clear that a zone of this kind would necessitate US air attacks on Libya's functioning, if seriously depleted, anti-aircraft missile bases, thus bringing Washington directly into the war on the side of Gaddafi's opponents. For several days now, US Awacs surveillance aircraft have been flying around Libya, making constant contact with Malta air traffic control and requesting details of Libyan flight patterns, including journeys made in the past 48 hours by Gaddafi's private jet which flew to Jordan and back to Libya just before the weekend. 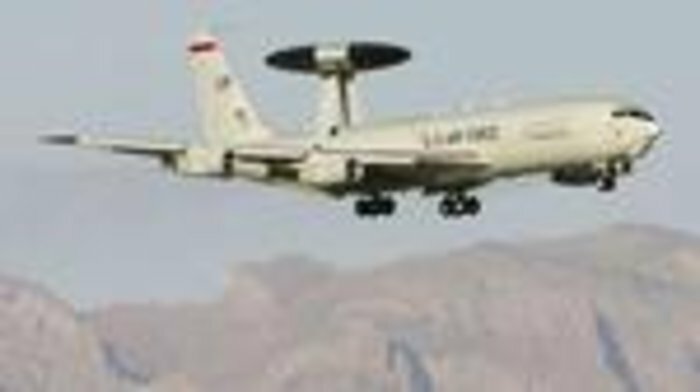 Officially, Nato will only describe the presence of American Awacs planes as part of its post-9/11 Operation Active Endeavour, which has broad reach to undertake aerial counter-terrorism measures in the Middle East region. The data from the Awacs is streamed to all Nato countries under the mission's existing mandate. Now that Gaddafi has been reinstated as a super-terrorist in the West's lexicon, however, the Nato mission can easily be used to search for targets of opportunity in Libya if active military operations are undertaken. Al Jazeera English television channel last night broadcast recordings made by American aircraft to Maltese air traffic control, requesting information about Libyan flights, especially that of Gaddafi's jet. An American Awacs aircraft, tail number LX-N90442 could be heard contacting the Malta control tower on Saturday for information about a Libyan Dassault-Falcon 900 jet 5A-DCN on its way from Amman to Mitiga, Gaddafi's own VIP airport. Nato Awacs 07 is heard to say: "Do you have information on an aircraft with the Squawk 2017 position about 85 miles east of our [sic]?" Malta air traffic control replies: "Seven, that sounds to be Falcon 900- at flight level 340, with a destination Mitiga, according to flight plan." But Saudi Arabia is already facing dangers from a co-ordinated day of protest by its own Shia Muslim citizens who, emboldened by the Shia uprising in the neighbouring island of Bahrain, have called for street protests against the ruling family of al-Saud on Friday. After pouring troops and security police into the province of Qatif last week, the Saudis announced a nationwide ban on all public demonstrations. Shia organisers claim that up to 20,000 protesters plan to demonstrate with women in the front rows to prevent the Saudi army from opening fire. If the Saudi government accedes to America's request to send guns and missiles to Libyan rebels, however, it would be almost impossible for President Barack Obama to condemn the kingdom for any violence against the Shias of the north-east provinces. "CAIRO-Egypt's military has begun shipping arms over the border to Libyan rebels with Washington's knowledge, U.S. and Libyan rebel officials said. The shipments-mostly small arms such as assault rifles and ammunition-appear to be the first confirmed case of an outside government arming the rebel fighters. Those fighters have been losing ground for days in the face of a steady westward advance by forces loyal to Libyan leader Moammar Gadhafi. The Egyptian shipments are the strongest indication to date that some Arab countries are heeding Western calls to take a lead in efforts to intervene on behalf of pro-democracy rebels in their fight against Mr. Gadhafi in Libya. Washington and other Western countries have long voiced frustration with Arab states' unwillingness to help resolve crises in their own region, even as they criticized Western powers for attempting to do so. The shipments also follow an unusually robust diplomatic response from Arab states. There have been rare public calls for foreign military intervention in an Arab country, including a vote by the 23-member Arab League last week urging the U.N. to impose a no-fly zone over Libya. The vote provided critical political cover to Western powers wary of intervening militarily without a broad regional and international mandate. On Thursday evening, the U.N. Security Council voted on a resolution endorsing a no-fly zone in Libya and authorizing military action in support of the rebels. Within the council, Lebanon took a lead role drafting and circulating the draft of the resolution, which calls for "all necessary measures" to enforce a ban on flights over Libya. The United Arab Emirates and Qatar have taken the lead in offering to participate in enforcing a no-fly zone, according to U.N. diplomats. Libyan rebel officials in Benghazi, meanwhile, have praised Qatar from the first days of the uprising, calling the small Gulf state their staunchest ally. Qatar has consistently pressed behind the scenes for tough and urgent international action behind the scenes, these officials said. Qatari flags fly prominently in rebel-held Benghazi. After pro-Gadhafi forces retook the town of Ras Lanuf last week, Libyan state TV broadcast images of food-aid packages bearing the Qatari flag. The White House has been reluctant to back calls from leaders in Congress for arming Libya's rebels directly, arguing that the U.S. must first fully assess who the fighters are and what policies they will pursue if they succeeded in toppling Col. Gadhafi. U.S. officials believe the opposition includes some Islamist elements. They fear that Islamist groups hostile to the U.S. could try to hijack the opposition and take any arms that are provided. Calls to Egypt's foreign ministry and the spokesman for the prime minister seeking comment went unanswered. There is no means of reaching Egypt's military for comment. An Egyptian official in Washington said he had no knowledge of weapon shipments. The U.S. official also noted that the shipments appeared to come "too little, too late" to tip the military balance in favor of the rebels, who have faced an onslaught from Libyan forces backed by tanks, artillery and aircraft. "We know the Egyptian military council is helping us, but they can't be so visible," said Hani Souflakis, a Libyan businessman in Cairo who has been acting as a rebel liaison with the Egyptian government since the uprising began. "Weapons are getting through," said Mr. Souflakis, who says he has regular contacts with Egyptian officials in Cairo and the rebel leadership in Libya. "Americans have given the green light to the Egyptians to help. The Americans don't want to be involved in a direct level, but the Egyptians wouldn't do it if they didn't get the green light." Western officials and rebel leaders in Libya said the U.S. has wanted to avoid being seen as taking a leadership role in any military action against Mr. Gadhafi after its invasions of Iraq and Afganistan fueled anger and mistrust with Washington throughout the region. But the U.S. stated clearly it wants Mr. Gadhafi out of power and has signaled it would support those offering help to the rebels militarily or otherwise. A spokesman for the rebel government in Benghazi said arms shipments have begun arriving to the rebels but declined to specify where they came from. "Our military committee is purchasing arms and arming our people. The weapons are coming, but the nature of the weapons, the amount, where it's coming from, that has been classified," said the spokesman, Mustafa al-Gherryani. The U.S. official said Egypt wanted to keep the shipments covert. In public, Egypt has sought to maintain a neutral stance toward the rebel uprising in Libya. Egypt abstained during the Arab League's vote calling for the U.N. to impose a no-fly zone on Mr. Gadhafi, according to people familiar with the internal Arab League deliberations. Hundreds of thousands of Egyptian laborers are believed to still be in Libya. On the other hand, the Egyptian military's covert support for the rebels suggests that it has calculated that Mr. Gadhafi is unlikely to remain in power, at least in the eastern half of the country, and therefore Egypt is eager to begin to build good relations with the rebels. Rebel forces in the past 24 hours appeared to make some progress fending off pro-Gadhafi forces' assaults and have rolled out new weapons for the first time since the uprising began last month. Among them are rebel tanks that have taken up positions on the front lines in recent days. Rebels also launched fighter-jet attacks on government positions on Wednesday for the first time so far. The tanks and fighter jets are believed to have been among the weapons seized by rebels from defected units of the Libyan army in the eastern half of the country, but they have received spare parts or trained mechanics from outside the country to help them deploy them, some rebel officials have speculated. Arms shipments from Egypt's military have begun flowing across the border into Libya with U.S. knowledge, Libyan rebels and U.S. officials said Thursday. Made up mostly of small arms, such as assault rifles and ammunition, the shipments are the first confirmed reports of an outside government supporting rebel fighters with weapons. 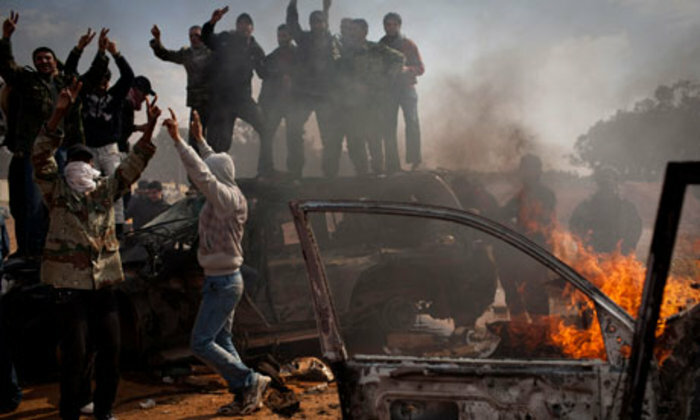 Rebels have been loosing ground for days against pro-Gaddafi forces aiming to end the conflict before foreign intervention plans are finalized. Although the U.N. approved a "no-fly zone" over Libya late Thursday, rebel forces fear that any planned foreign intervention would be too little to late. The shipment of arms indicated an unusually bold response by an Arab nation intervening in a conflict outside its borders. There have also been rare public decrees for the West to intervene in the conflict - the Arab League voted 23-0 last week encouraging the U.N. to impose the "no-fly zone" over Libya. In spite of reports of arms flowing across the Egyptian boarder, Egyptian Foreign Ministry spokeswoman Menha Bakhoum told Reuters that Egypt would not be involved in any military intervention in neighboring Libya. "Egypt will not be among those Arab states. We will not be involved in any military intervention. No intervention period," Bakhoum said. Bakhoum was responding to comments by U.S. Secretary of State Hillary Clinton, who said Thursday that discussions were on the table regarding Arab involvement in U.S. and European intervention in the conflict. Clinton has said repeatedly that the U.S. desires involvement from a neighboring Arab nation in any planned intervention. A Libyan rebel government spokesman in Benghazi, Mustafa al-Gherryani, said rebels have begun receiving arms shipments from neighboring nations, however he declined to reveal their origin. "It may puzzle and perhaps dismay young protesters in Benghazi, Cairo and Tunisia that their democratic hopes are being manipulated by an ultra-conservative Arab elite which has underhandedly backed a surge of militant Islamist radicals across North Africa. Credible U.S. intelligence reports have cited evidence pointing to Qatar's long-running support for the Muslim Brotherhood, Al Qaeda and jihadist fighters returning from Afghanistan. The links to Qatar uncovered by anti-terrorism investigators in the wake of 9-11 need to be reexamined now that the Libyan Islamic Fighting Group (LIFG), an on-and-off affiliate of Al Qaeda, has seized armories across half of the North African country. Libya's well-stocked arsenals contain high-power explosives, rocket launchers and chemical weapons. LIFG is on the State Department's terrorist list. 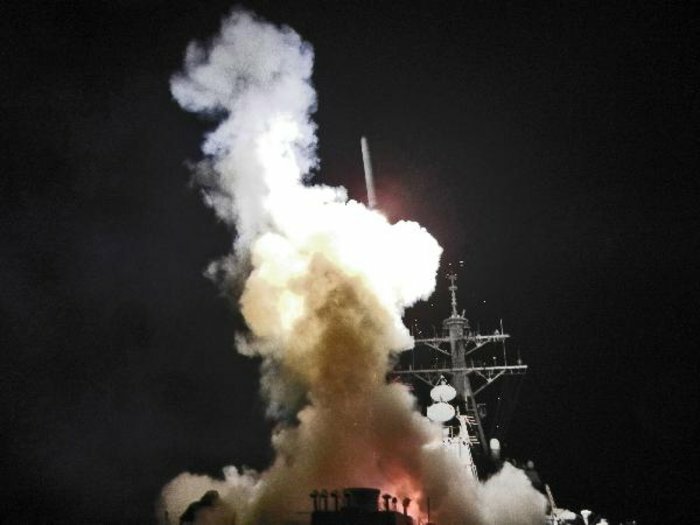 Most worrying, according to a U.S. intelligence official cited by CNN, is the probable loss of chemical weapons. The Federation of American Scientists reports that, as of 2008, only 40 percent of Libya's mustard gas was destroyed in the second round of decommissioning. Chemical canisters along the Egyptian border were yet to be retrieved and are now presumably in the hands of armed militants. His most recent book is American War Machine: Deep Politics, the CIA Global Drug Connection and the Road to Afghanistan. 4 Joel Bainerman, Inside the Covert Operations of the CIA & Israel's Mossad (New York: S.P.I. Books, 1994), 14. 6 "Petroleum and Empire in North Africa. NATO Invasion of Libya Underway," By Keith Harmon Snow, 2 March 2011. 10 Ian Black, “Libya rebels rejects Gaddafi's al-Qaida spin,” Guardian, March 1, 2011. 11 Gary Gambill, "The Islamic Fighting Group (LIFG), Jamestown Foundation," Terrorism Monitor, May 5, 2005,; citing Al-Hayat (London), 20 October 1995 [“communiqué”]; "The Shayler affair: The spooks, the Colonel and the jailed whistle-blower," The Observer (London), 9 August 1998; Jean-Charles Brisard and Guillaume Dasquié, Ben Laden: La Verite interdite (Bin Ladin: The Forbidden Truth). Cf. also Annie Machon, Spies, Lies and Whistleblowers: MI5, MI6 And the Shayler Affair (Book Guild Publishing, 2005) [Shayler]. 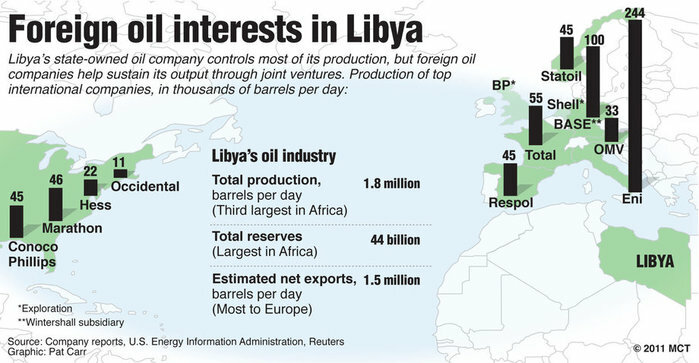 16 Robert Fisk, “America's secret plan to arm Libya's rebels,” Independent, March 7, 2011. 19 Benjamin Gottlieb, “Egypt Arms Libyan Rebels As Gaddafi's Conquest Continues,” NeonTommy Annenberg Digital News, March 17, 2011.